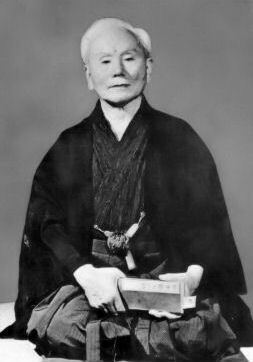 At the beginning, an association (Kai) was created to help Master Gichin Funakoshi (1868-1957): Shoto his pen name, this association will be called later Shotokai . Born in Okinawa, Master Gichin Funakoshi had introduced Karate Do in Japan (Honshu) in the 1920s when he moved to Tokyo. His life is a real novel and he is the real father of Karate Do. 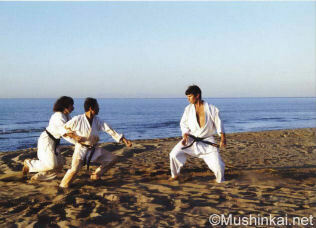 Nowadays, Shotokai karate do generally indicates the trend developed by Master Shigeru Egami (1912-1981). 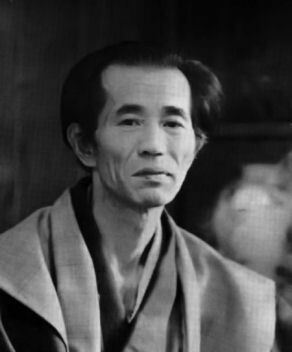 Following the death of Master Gichin Funakoshi in 1957, Master Egami was nominated as Shihan (school leader) of the Shotokan Dojo (with the agreement of the Funakoshi family) and the Shotokai organisation . Master Egami conceives his practice as a way of the Awakening. After years of extensive practice, he realizes that the excessive use of force and the steepness of the movements lead to a dead end. 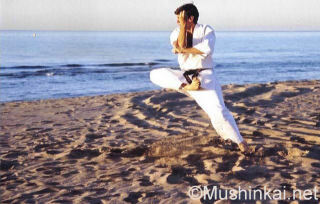 He changes the way of thinking karate and the way of practicing. Notions such as victory and defeat, force and weakness have no reason to exist anymore. The search takes now news directions: harmony and the non-existence of duality. Movements become longer and more flexible, postures become lower and more ample. Competition and sports aspects are foreign notions to Master Egami. 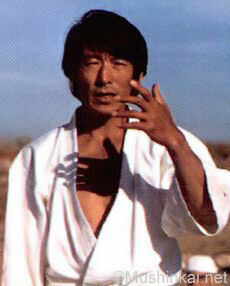 Master Murakami (1927-1987) was the first master to settle definitely in France to develop Karate. He arrived into Marseille in November, 1957. He met Master Egami in 1967 in Japan and he decided to change his practice and to follow Master Egami, no matter how surprised he was by what he saw during the trainings. Later, he became Master Egami's delegate for Europe. Master Murakami asserts that the purpose of Shotokai is "to free the body and the spirit". "Overcome ourselves: the body and the feelings. At first, the body. It is necessary to break it, to release it from any resistance, then to model it.. An extremely hard training is necessary. "Then, it is necessary to avoid facility. The search for difficulty is mandatory. To surpass ourselves in the effort, to go permanently beyond its own limits. "It is the price to pay to learn to really know ourselves and to let our most various and fatal feelings appear vividly: hatred, violence, laziness, impatience. "Then, to overcome them will be extremely facilitated." He died in Paris on January 24th, 1987. He is buried in the Cemetery of Clamart. The Mushinkai association was created by numerous students avid to pursue Master Murakami's work. Luís de Carvalho (born in 1959) is responsible of the school trainings; and the president of the school is Xavier Corbin (born in 1933). Luís de Carvalho is the current Shihan of this school. Master Murakami nominated him as an assistant in 1982 and he was first assistant from 1983 till 1987 (year of the death of Master Murakami). Among the other assistants of Master Murakami, Jean-Marc Labat (born in 1952) and Pierre-Jean Boyer (born in 1951) are lead instructors in the Mushinkai group. Today, the Mushinkai association is present in France, Italy and Switzerland. A dozen trainings are organized every year in Europe, the main one being held in Sérignan-Plage (15 days by the Mediterranean Sea). Sérignan is also one of the most ancient European trainings, since it was created in 1969 .